ROMAN REPUBLIC. MN. AQUILLIUS, 71 BC. 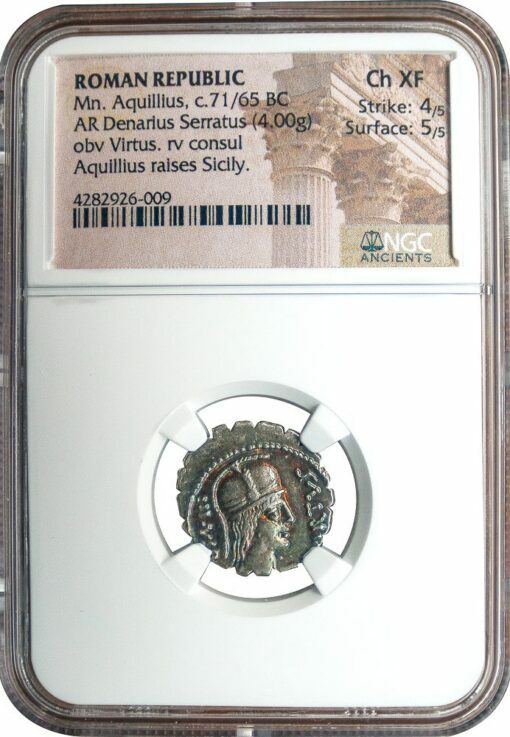 Silver serrate denarius, 4.00 g., 18 mm. Obv. VIRTVS – III VIR, helmeted bust of Virtus right. Rev. MN AQVIL – MN·F MN·N Warrior, standing and holding shield, lifting up the fallen figure of Sicily; SICIL in exergue. Crawford 401/1; Sydenham 798 RBW 1443. 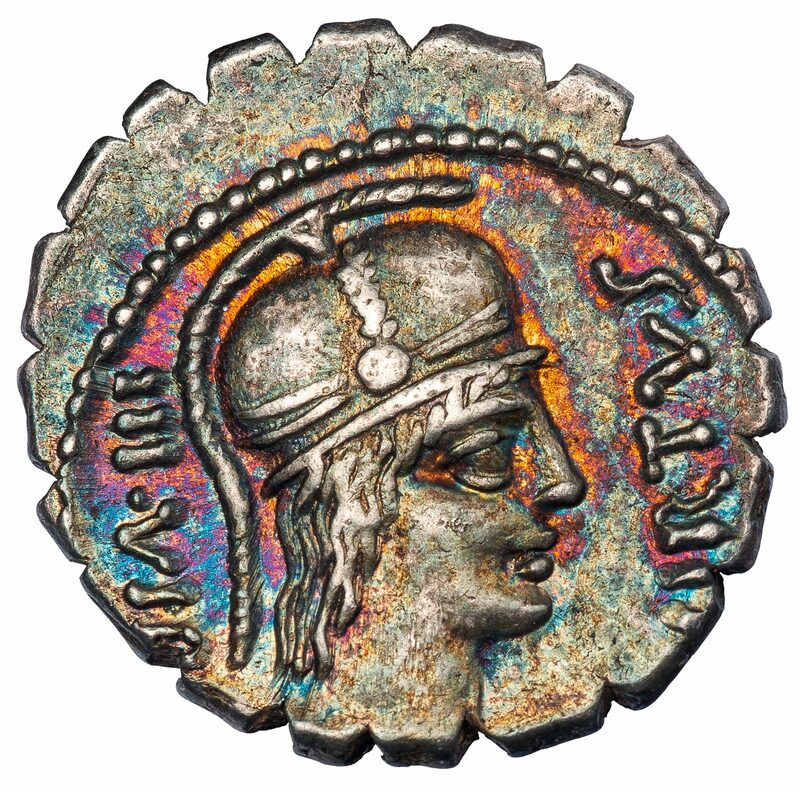 NGC graded CHOICE XF, Strike 4/5, Surface 5/5, with very attractive multicolored iridescent toning on the obverse.